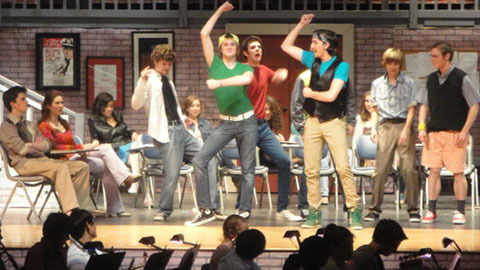 Fame at Green Hope High School. Photo by Savannah Thorne. 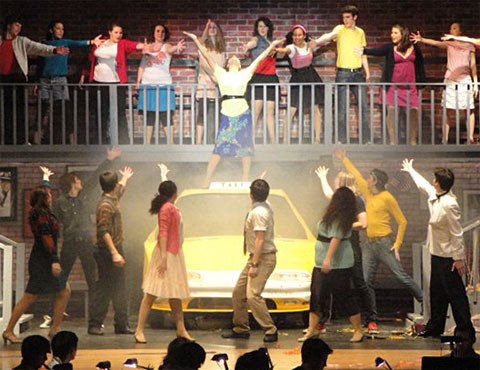 Cary, NC- Green Hope High School’s Performing Arts Department held their annual musical on February 25 – 27, 2010. It was “Fame,” and by all accounts, a rousing and impressive night of theater. 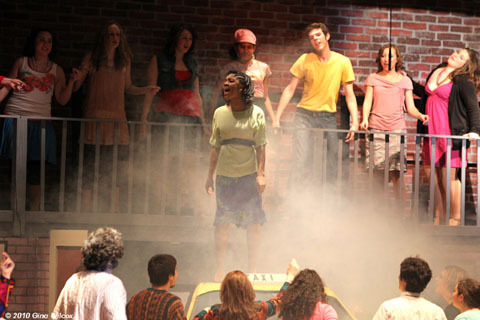 Set during the last years of New York City’s celebrated High School for the Performing Arts on 46th Street (1980 – 1984), “FAME – THE MUSICAL” is a bittersweet but ultimately inspiring story of a diverse group of students as they commit to four years of grueling artistic and academic work. Cast in the finale including lead Brennan Clark. Photo by Gina Wilcox. With candor, humor and insight, the show explores the issues that confront many young people today: issues of prejudice, identity, self-worth, literacy, sexuality, substance abuse and perseverance. The 1980 critically acclaimed film “Fame” spawned a six-season television series, a reality television show and the musical. 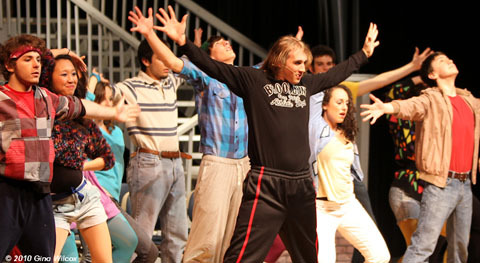 Cast for Green Hope's musical "Fame" including lead Destiny McNeil. Photo by Gina Wilcox. The musical was conceived and developed by the film’s producer, David De Silva, with a book by Jose Fernandez, music by Steve Margoshes and lyrics by Jacques Levy.